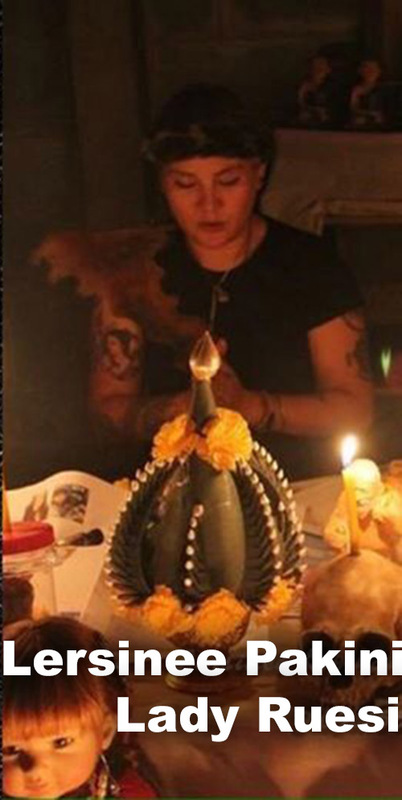 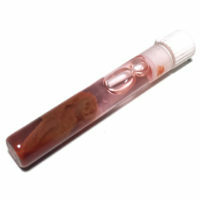 Presenting a very talked about Prai Oil based Kumarn Tong Wicha from a Lady Ruesi Hermit, that is currently enjoying immense public popularity for its effectiveness as a spirit helper and guardian, the Kumaree Hnung Hning Chae Nam Man Prai, from Lersini Pakini Kim Mahant. 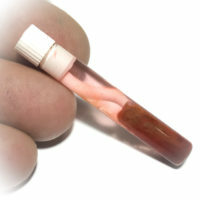 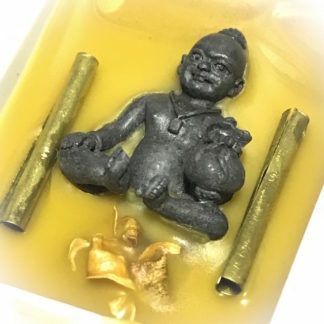 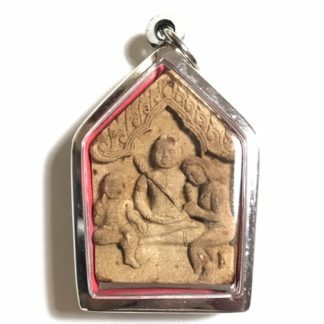 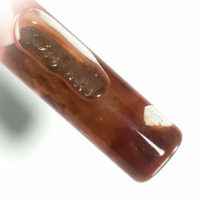 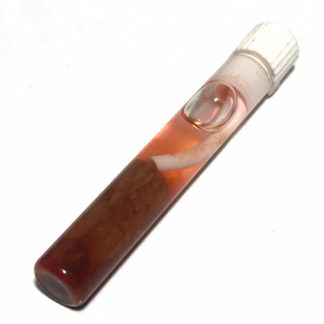 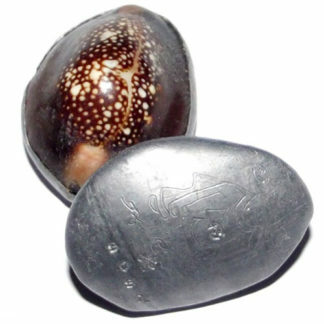 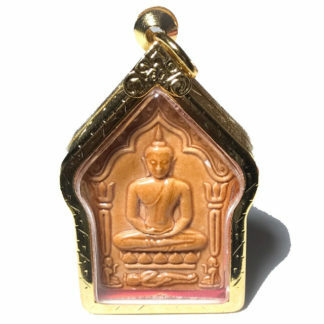 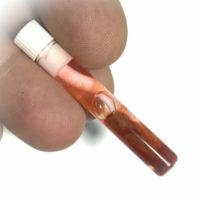 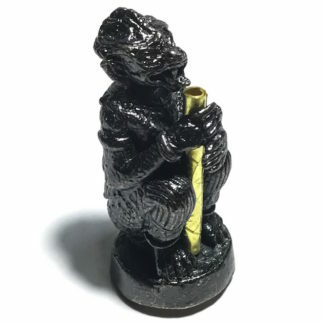 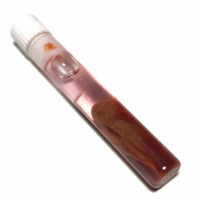 A Potent and Powerful Potion indeed is found within this slim portable phial of Nam Man Prai Oil consecrating a Kumaree effigy within the phial, with the spirit of Nong Hnung Hning, a Hoeng Prai female child ghost. 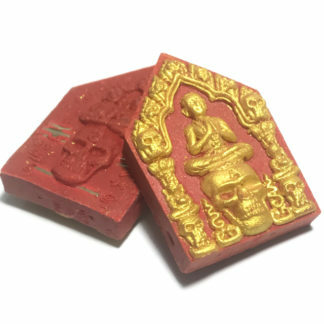 The Kumaree is made from Pong Prai Kumaree female child Hoeng Prai Ghost Powders, and Pong Prai Ha Sip Gao Dton 59 Bhūta Ghost Powders, mixed with Wan Sanaeh Jantr Mooncharm Herb powders, with Pong Wan Dork Tong Golden Flower Pollens, and powders from Sacred Ga Fak, Ga Fak Rak Yom, and Ga Koon Yor Trees.